Austin Suites 1+1 Fully Furnish For Rent. SkyPod Nice Unit For Rent. You Residence, You City @ Cheras for Rent. Flexus @ Jalan Kuching 4 Units Available To Sale. BSP 21@Bandar Saujana Putra Serviced Residence For Rent. 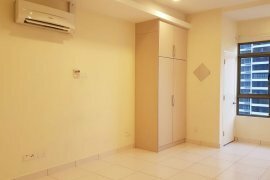 Studio For Rent In 10 Semantan Suite, Damansara Heights. For Rent: Anjung Hijau/Greenfield Apartment. D-Villa Residence, Holiday Villa, Megan Ambassy, Jalan ampang. 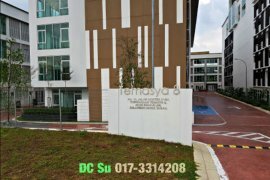 10 SEMANTAN SERVICE SUITE, DAMANSARA HEIGHT 2R2B FOR RENT. Midas Perling 3 Rooms & Full Furnish Unit Rental Only Rm1400. Parc Regency Plentong/taman molek/pasir gudang. Water Edge@ Senibong Cove 1+1 Bedrooms Fully Furnished. ■ Luxurious Apartment (Sky Garden, 81200, Johor Bahru). Prima Regency Service Apartment , Fully Furnish & Renovated. Austin Regency Studio Condo @ Mount Austin. Sky Oasis Residence@ Austin 3R2B High Floor. Palazio@ Mount Austin 3R2B Fully Furnished Good Condition. Hello, Please contact me, I am interested in serviced apartments for Rent in Malaysia. Best Regards. Dot Property Malaysia is an online property portal where thousands of property searches happen every day. Start your search today for affordable property for rent in Malaysia from 102 available listings. Condominiums, houses, townhouses, villas, commercial space, and luxury properties are available for rent in Malaysia. Malaysia’s properties for rent are either listed by private home owners or property agents such as Accom Asia Co.,Ltd, brylle martinee and Deux Diaz. Refine your search to help you find the perfect Malaysia property by price and number of bedrooms.